Rachel Okine is currently the Vice President of International Acquisitions for STX Entertainment. She will focus on identifying and delivering new content for international distribution. Rachel was previously the Paris-based Vice President of International Production and Acquisitions for Europe’s largest studio, StudioCanal. Rachel’s first job in distribution was as acquisitions assistant in London’s FilmFour after which she returned to Australia to become a founding staff member of leading Australian independent film distribution company, Hopscotch (acquired by Canadian-based Entertainment One in 2011). From 2002 to 2006, she worked across the publicity and marketing campaigns of its flagship titles including Bowling For Columbine, Touching the Void, Somersault, Downfall and Mrs Henderson Presents among many others. 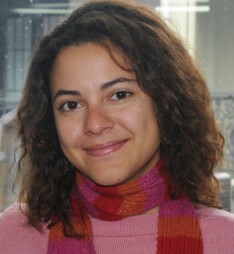 From 2006-2012 her role evolved to focus on the acquisition of international and local films, as well as establish Hopscotch’s production activities. During this time, Rachel was involved in the acquisition of films such as Source Code, Midnight in Paris, Saving Mr Banks and Pan’s Labyrinth, and brought into the company the successes Wish You Were Here and The Sapphires for the Australian market, whilst working closely with eOne’s acquisitions teams in Canada, the UK, USA and Benelux to source product to work across the territorial spectrum. Some of the projects as producer include a 13-part food series for SBS called My Family Feast, and a multiplatform animation for the ABC called the gradual demise of phillipa finch, which was nominated for an award at the 2012 SXSW Interactive Festival. Rachel also Executive Produced the feature documentary All This Mayhem, as well as the short film The Guests, which was selected for Official Competition in 2015’s Cannes Film Festival. Rachel was integral in the establishment of Hopscotch Features, a joint venture with writer John Collee and producer Andrew Mason, and as Head of Development oversaw the development of high concept feature film projects, working with the cream of Australia’s filmmaking talent. 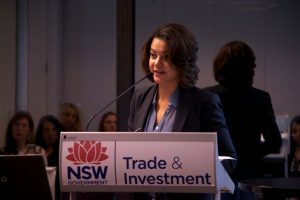 In 2010 Rachel was profiled by The Hollywood Reporter as one of the 20 young film executives to watch in the Asia-Pacific region, and in 2012 was the inaugural recipient of the Natalie Miller Fellowship, which recognises entrepreneurship and excellence in the Australian screen industries. “And so ends the most intense, intimidating, rewarding and inspiring professional experience of my life. I’ve met the most incredible 64 women from every continent and every industry you can think of.